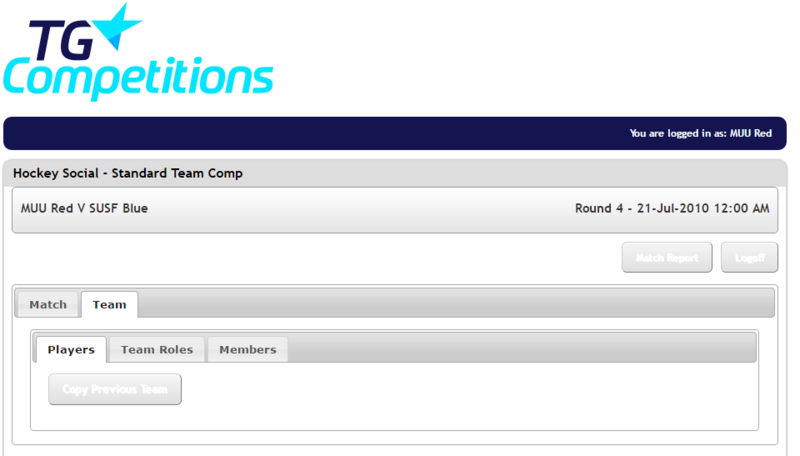 Team Administrators can select from any members of their Club to add players to teams in preparation for the upcoming round. This allows the administrator to then be able to print team sheets and enter player statistics after the game. 5. Select TEAM, and then MEMBERS. 6. Select the relevant member group for the team to limit the available members. 7. Select the PLAYERS tab. 8. Click SAVE PLAYERS and the members are now selected for the team. Adding Players allows team administrators to then enter player statistics after the game as well as print team sheets with all relevant players already attached.